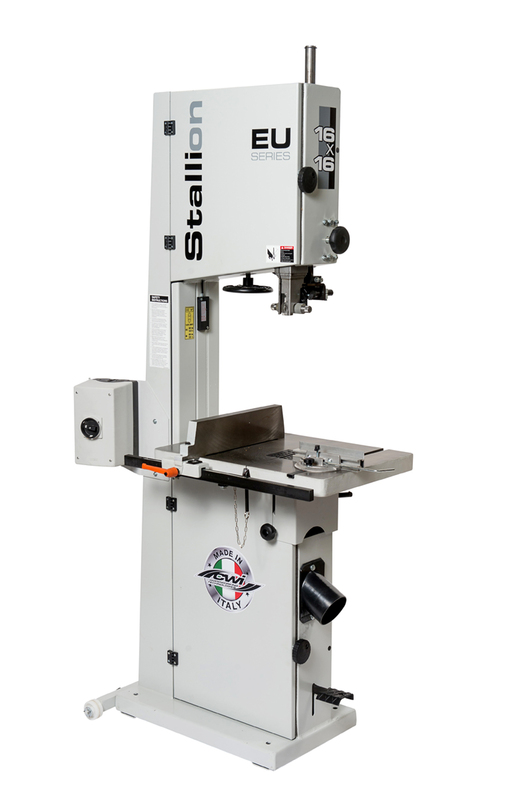 The Stallion CWI-B1616 16” EU Series band saw is built as the ultimate woodworkers dream bandsaw with more power, strength, performance and capacity than any other saw in its class. 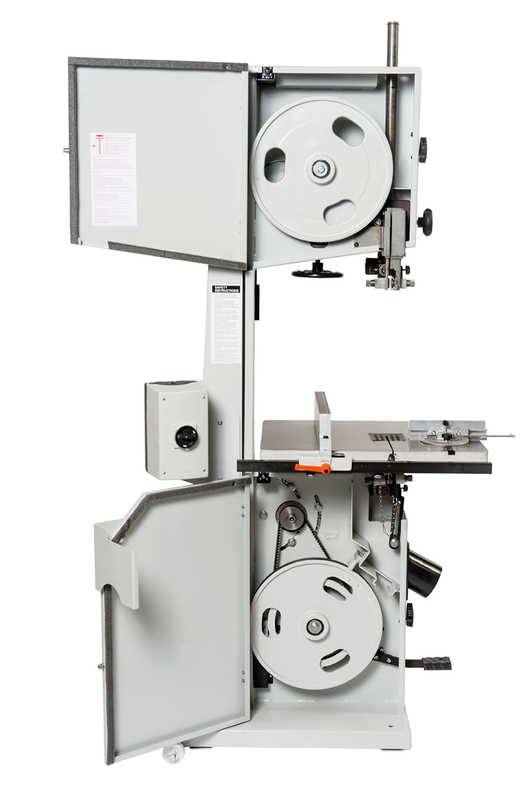 A true workhorse of a machine designed for accuracy and ability to accomplish any demanding task asked of it. 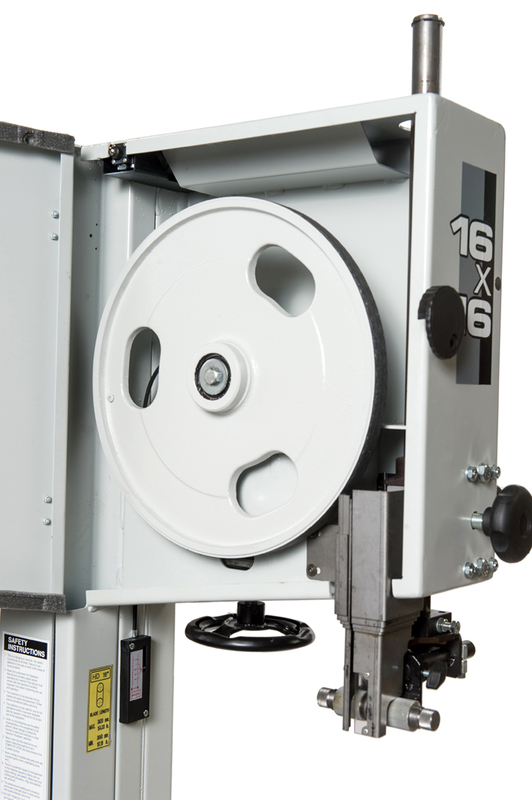 The CWI-B1616 built in our European factory offers a full 16” resaw capacity, a heavy duty double welded steel frame, 4.8 HP single phase motor and solid cast iron disc (not spoked) 16” wheels expertly balanced on sealed for life heavy duty bearings. 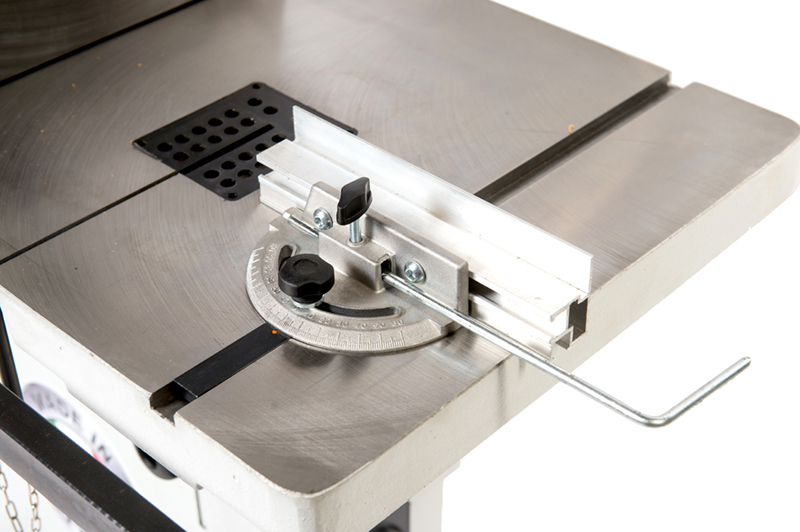 A massive 18” x 24.5” heavy ribbed cast iron table with 3/8” x ¾” miter guide slot with miter gauge sits atop a very heavy welded steel trunnion system allowing 45 degree tilting of the table. 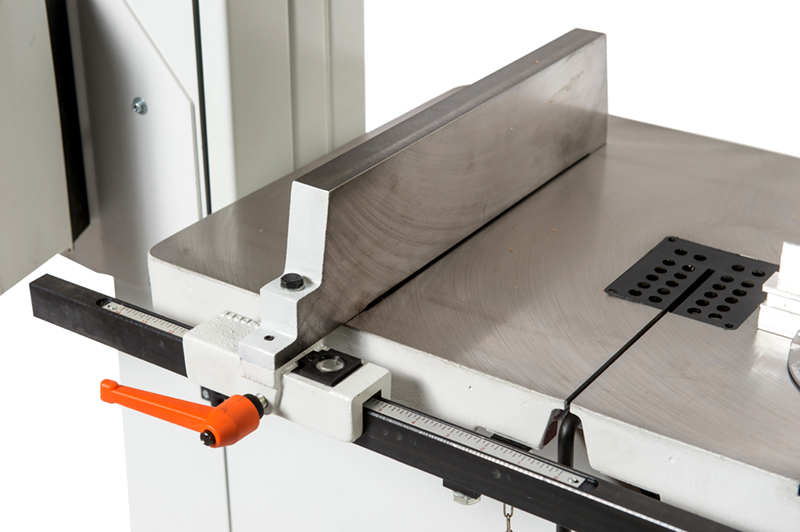 The “Euro” style ball bearing blade guides are robust and easy to adjust for any sawing needs from fine finish work, veneer cutting or heavy resawing. 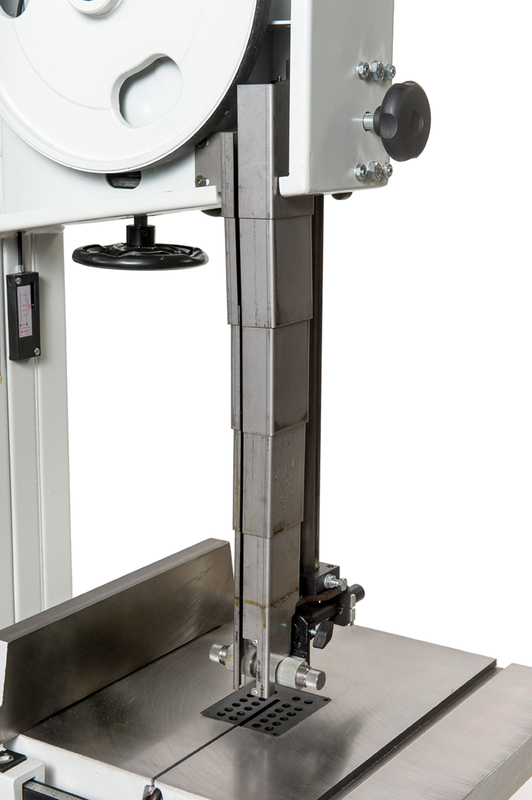 A cast iron bandsaw fence is standard equipment. 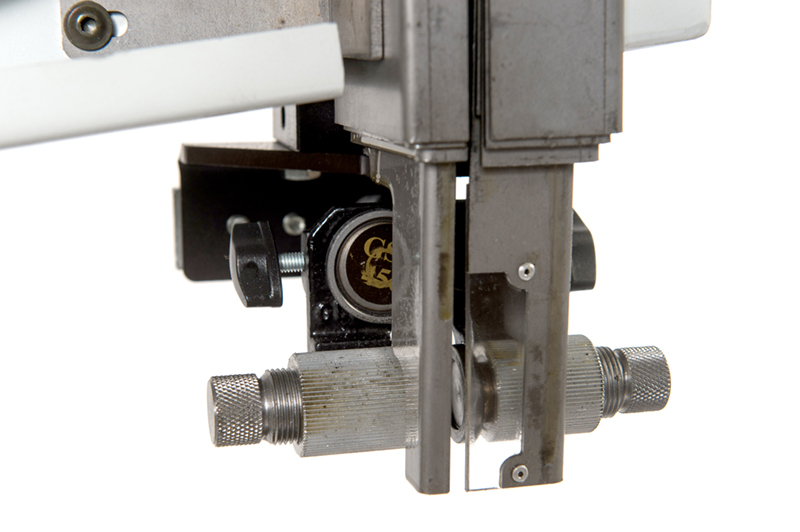 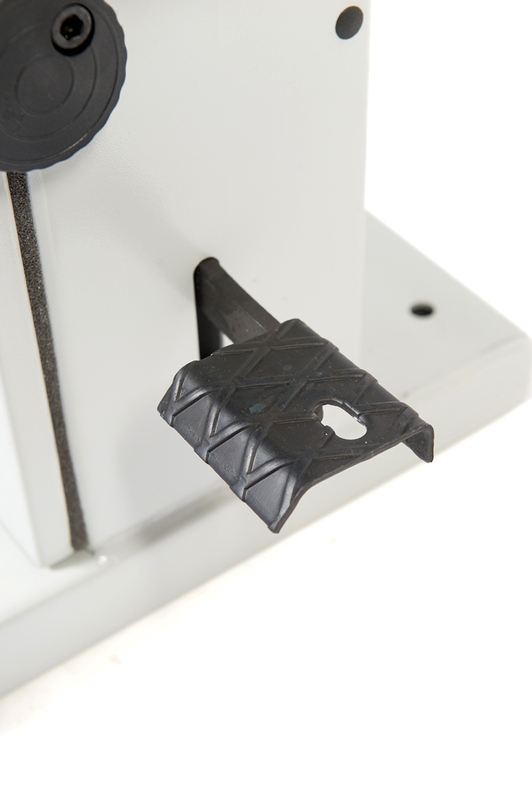 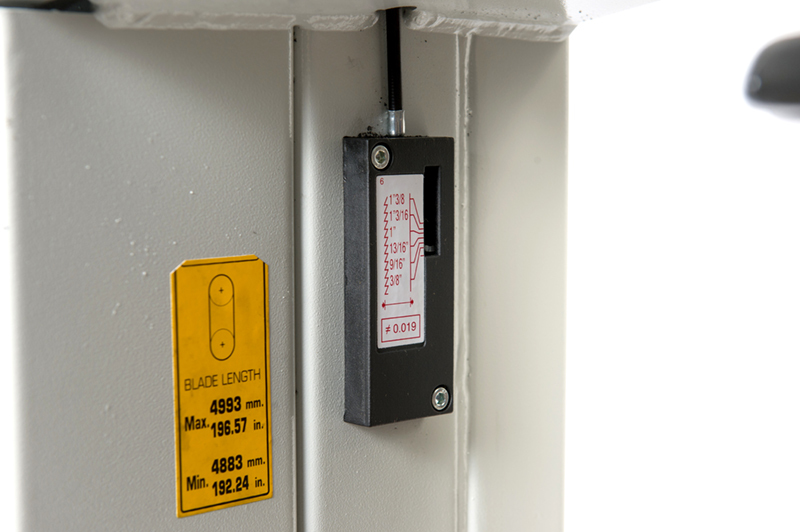 A blade tension indicator is standard for up to 30mm blade width. 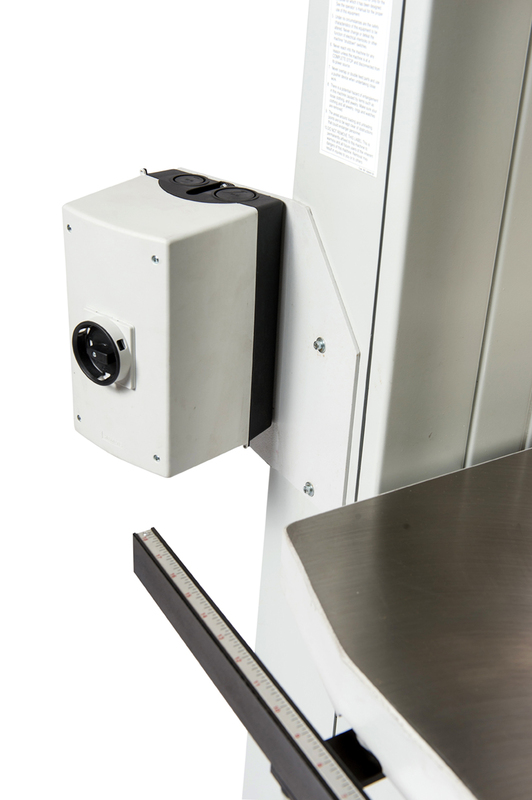 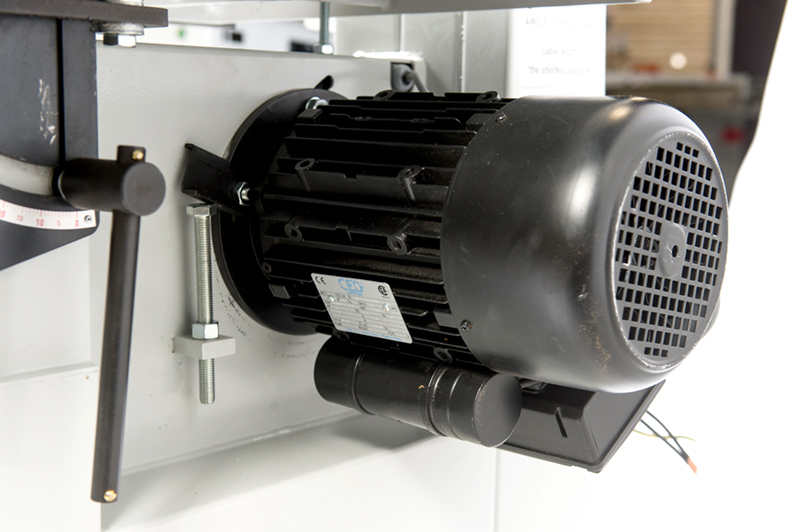 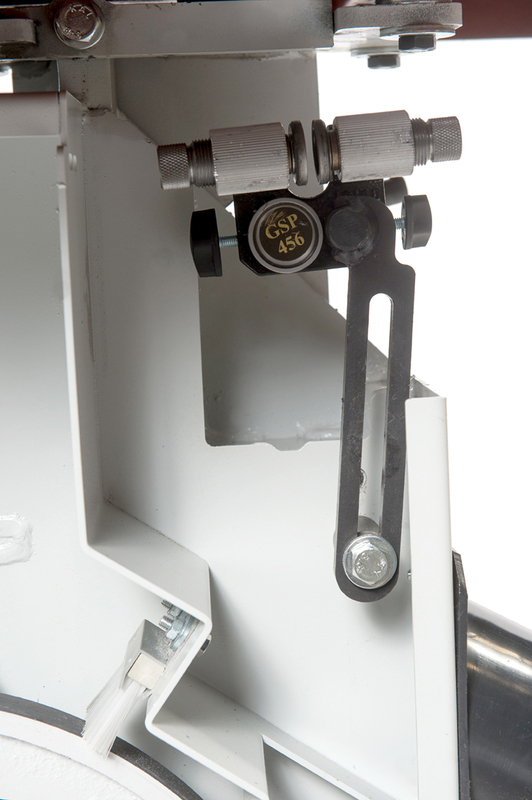 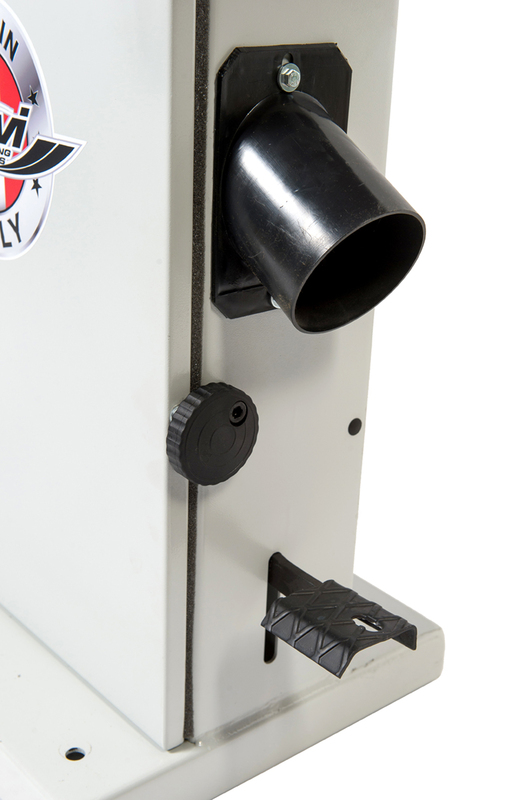 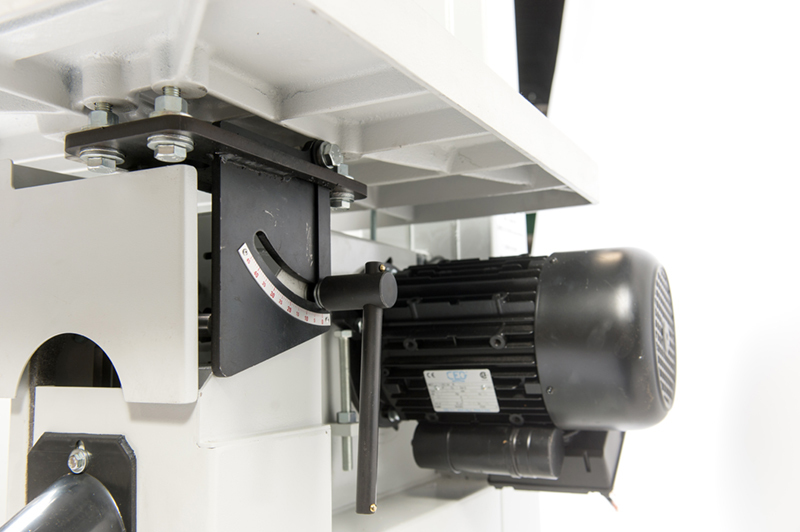 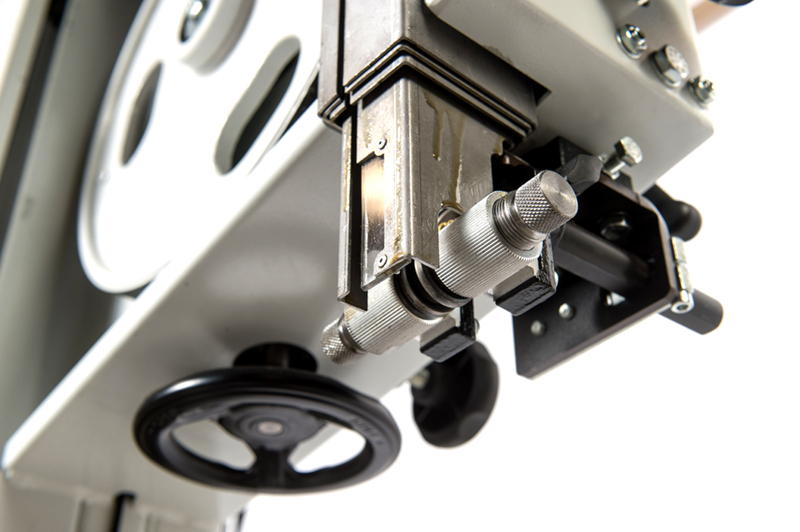 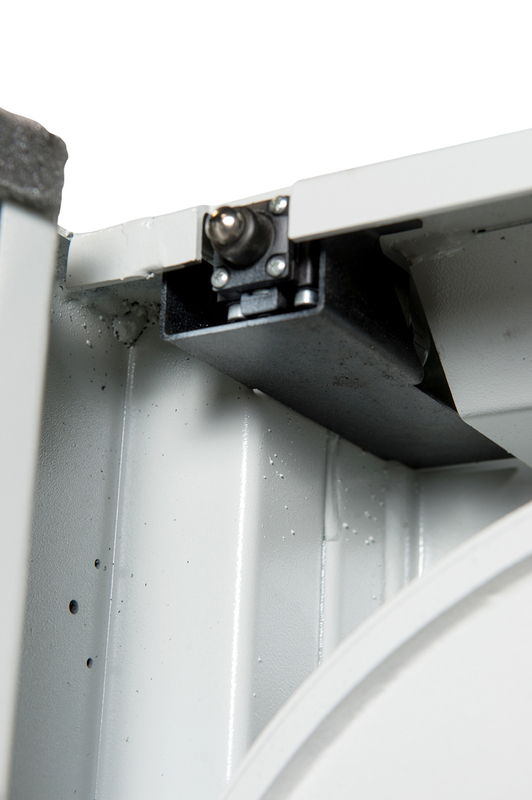 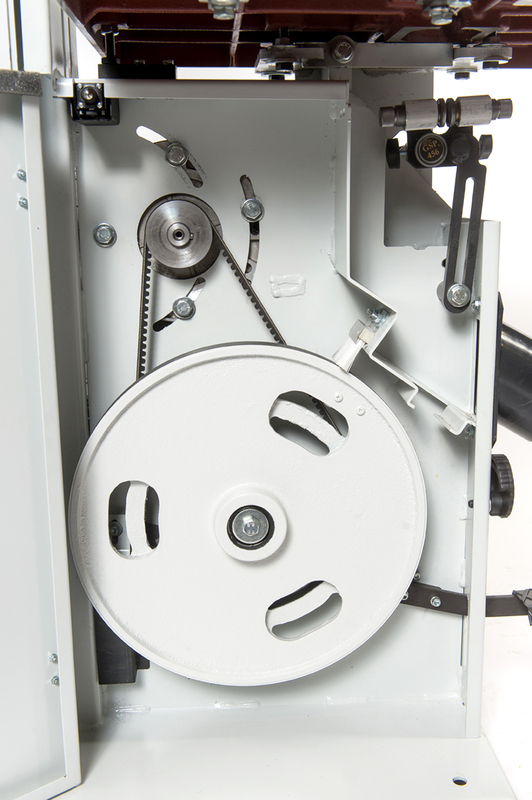 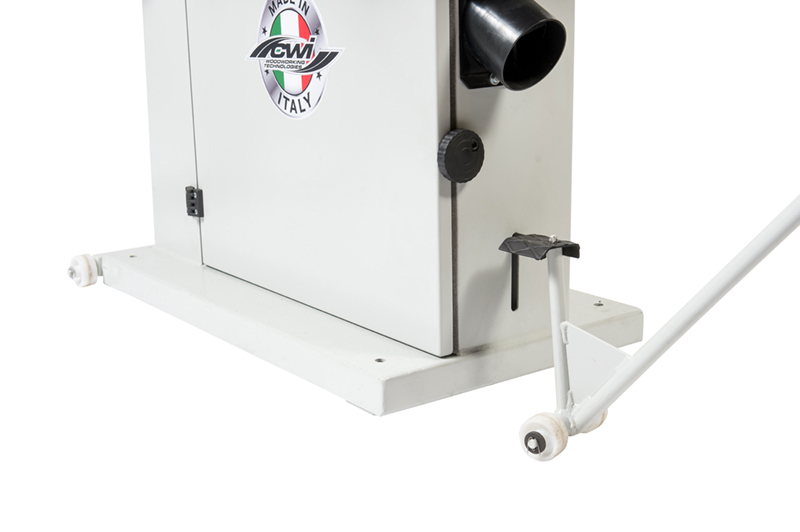 Dust collection on the Stallion band saw is easily performed with a single4” dust inlet just under the lower blade guides with a wooden insert to capture the dust before entering the frame of the saw.